I created an event which isn't actually an event but rather an item that people can buy. 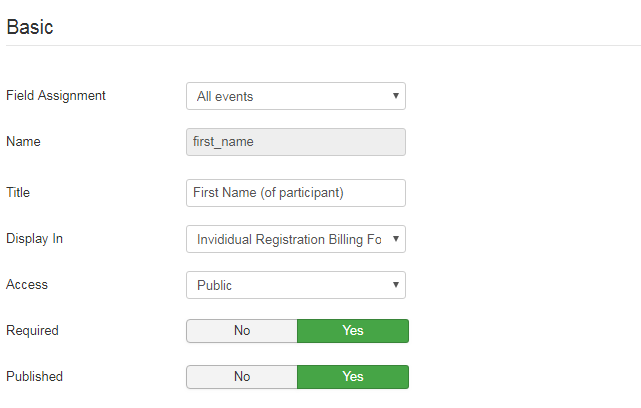 It's all working fine, except the very first custom field I ever made refuses to let me use the Field Assignment of "All Events Except Those Selected." I thought it was the particular 'event' but it just won't accept anything. 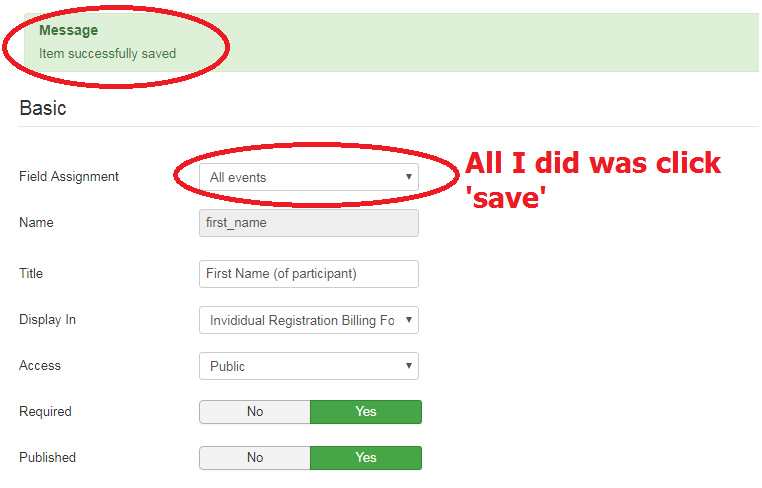 It says it saves, but it's just reverting to the original "All Events." I have tried this in Chrome on mobile, Chrome on desktop and IE on desktop; it doesn't appear to be a browser issue. 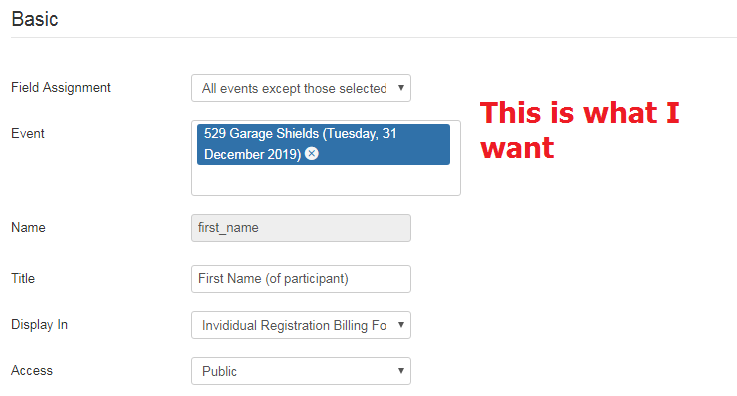 I have also changed a number of other custom fields to exclude this or other events and all were successful. I have tried unpublishing it: it won't unpublish. I have tried deleting it: it wouldn't delete (which in hindsight is a good thing). I would send a support ticket but my website has IP restrictions and it's not easy to let you in: I will if there's no other option.